Hello friends! It's been a while since I've done a post with my ole specs hasn't it? I finally took the plunge and got me some contacts a couple of months ago, so I've been wearing those pretty much everyday. The only time I've had my glasses on is in the evening when I'm in my jammies curled up in front of the tv with a cup of tea and chocolate round my mouth which, for obvious reasons, you don't need to see. However, it's felt good to be back in them during the day! 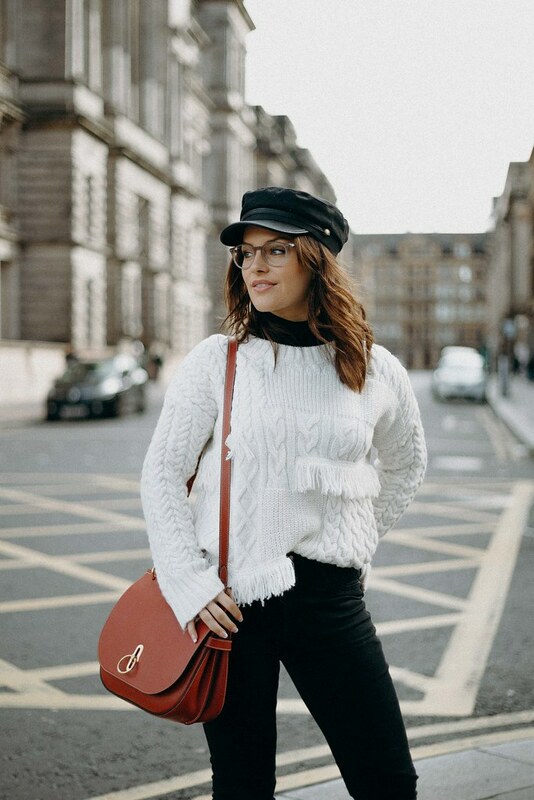 I really, really love styling outfits around glasses, and for today the pair in question is this little Kylie X Specsavers pair. 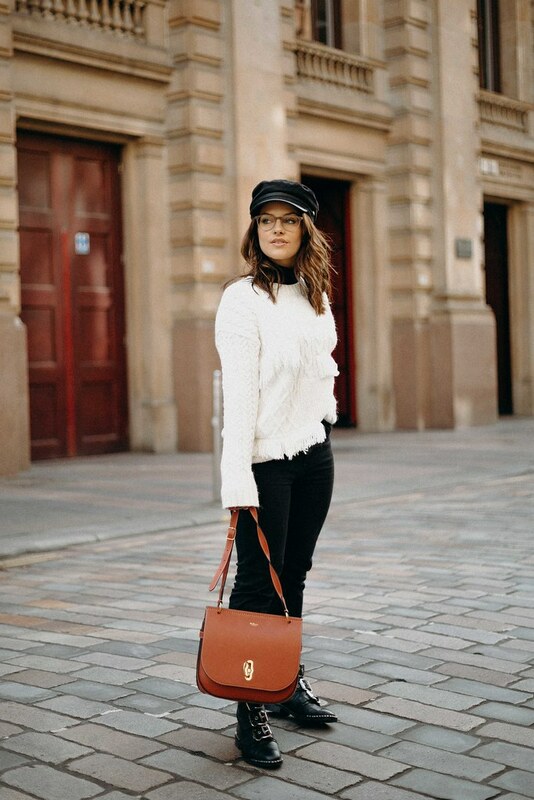 It's starting to feel very, very Autumnal up here in Scotland - when I say 'starting to' I mean 'has consistently been like that all summer' - so I decided to wrap up and go for a cosy outfit. 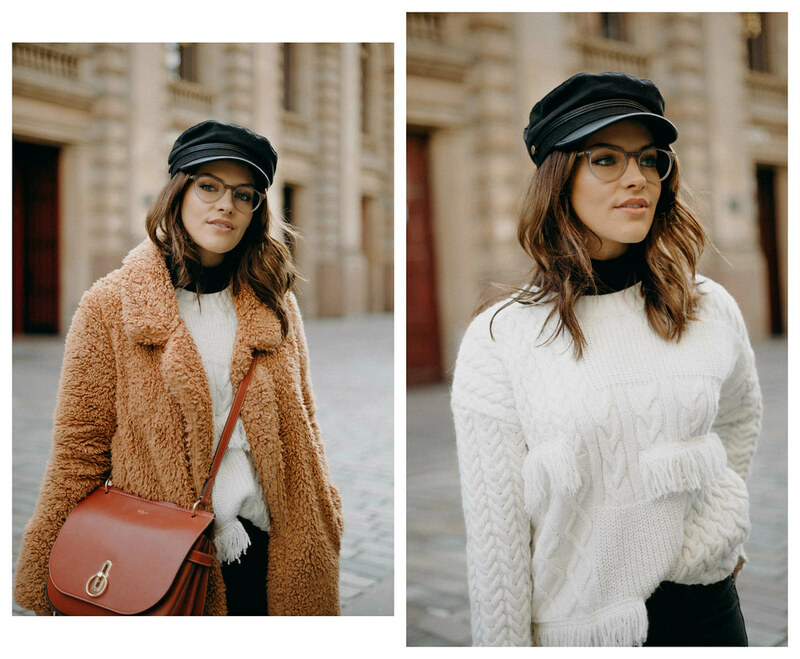 You also may have seen in this Instagram last week that I was asking if you lot had any questions about glasses, so today I've tried my best to answer them! 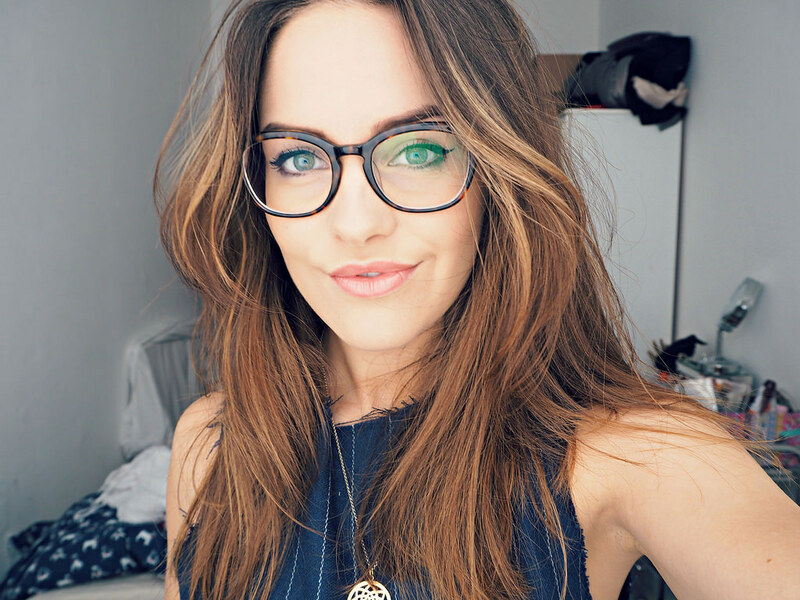 @bellaf1: I love glasses but I always stick to the same shape! Do you do the same or mix it up?!? I always get so scared a certain style won't suit me. Ooh yes, I did the exact same thing for years; always, always going for my 'safe shape' and feeling too nervous to branch out. 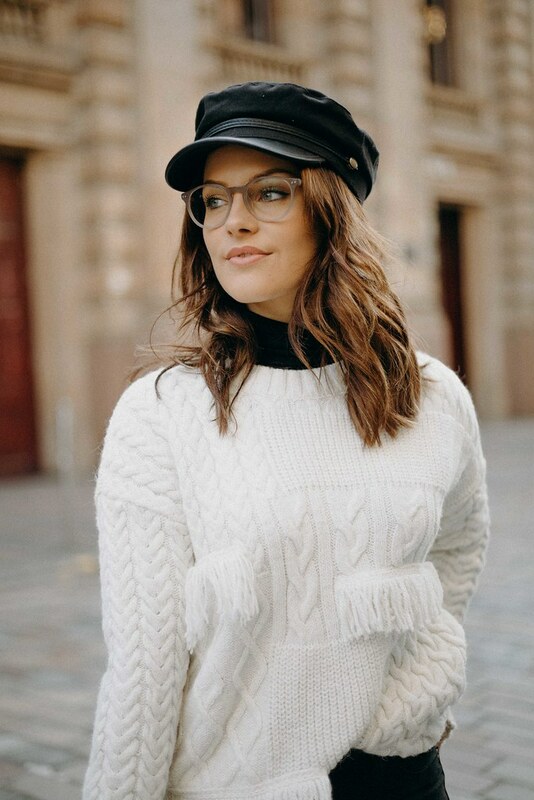 However, one day I had a bit of extra time on my hands and ended up trying on half of Specsavers (I'm not exaggerating) and realised that there were so many styles out there that suited my face... As well as so many that definitely didn't, but the less said about those the better. My advice would just be to try on as many as you can; try them with hair up, with hair down, and see what works. It also helps to take a friend or parent who isn't afraid to be brutally honest. This is where I think trial and error comes into play. 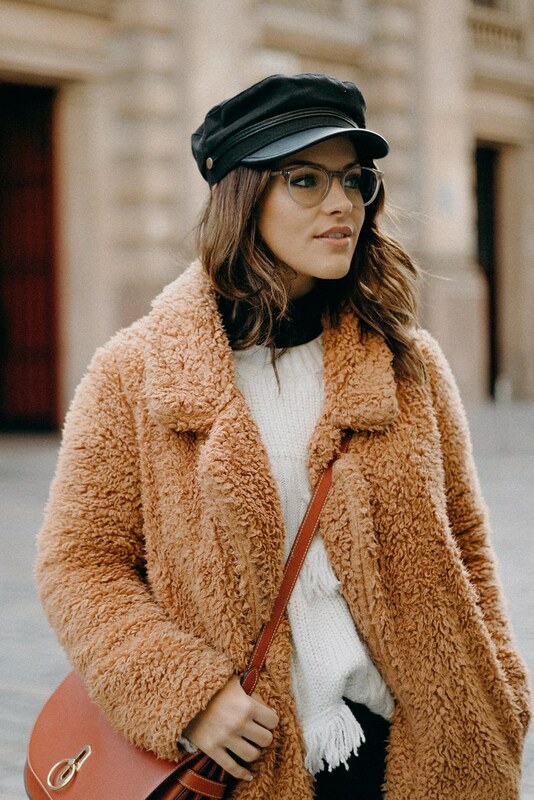 I've found that if I'm wearing a more subtle pair then I like to have big, wavy hair, whereas if I have statement black glasses on then I prefer a more sleek, straight look. It's all about finding what works for you and what you feel comfortable with (Pinterest is your best friend here). 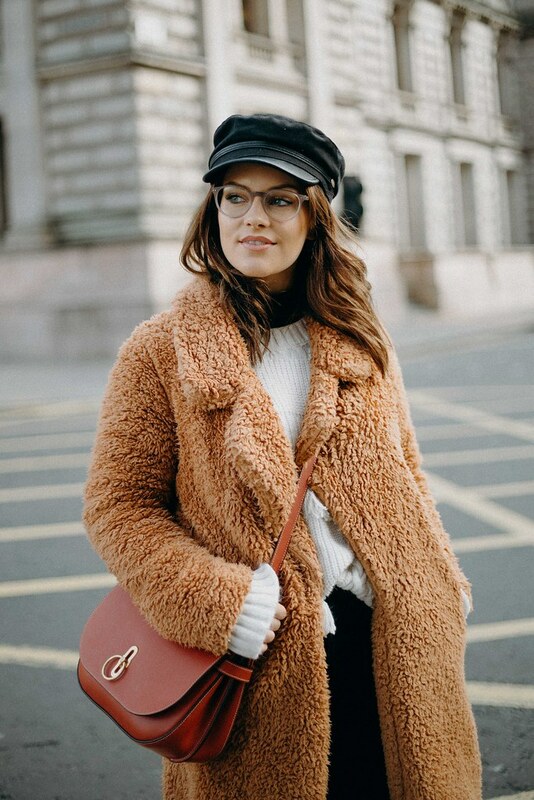 @geehorrox: How do you deal with growing out a fringe when it just flicks around your frame like a really bad pair of curtains? Haha ok, I had this very dilemma a few years ago and have managed to find the photo below from when I was growing my fringe out. I found blowdrying it to give a little more lift at the roots of your fringe as well as putting a flick through the ends helped! Although sometimes it really is just a case of waiting it out while that fringe does its thing and slowly but surely grows. @ashorsimpson: Which type of frames are best for people with long-ish faces? I find that wide, rectangle shaped glasses are better for longer faces! The wider the frame, the more it will work to make your face appear shorter and wider. 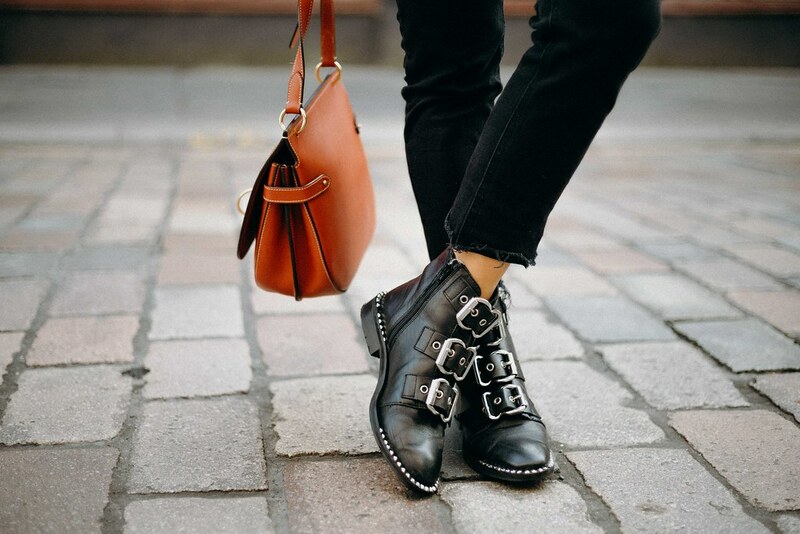 It's always good to have a wee read around online about face shapes or ask in store as well! 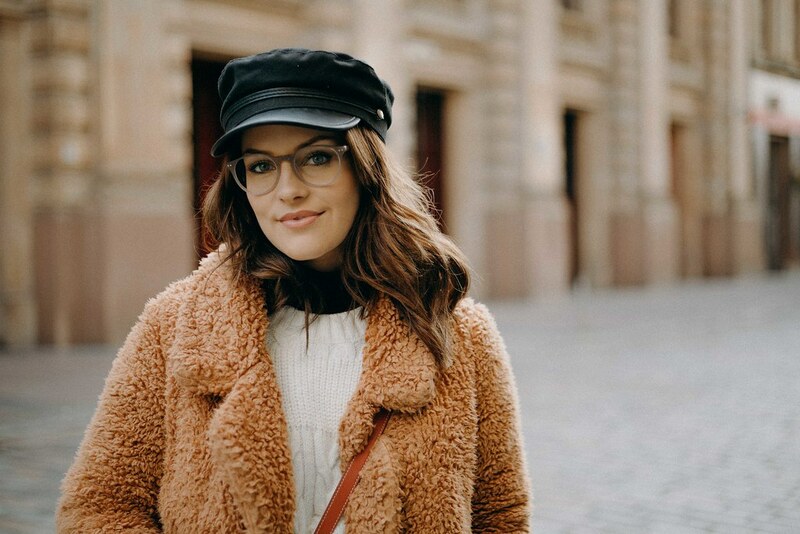 I hope this post helped all you glasses wearers out there in some way, and thank you so much for all your questions over on Instagram! Thank god I had my glasses on to read them. 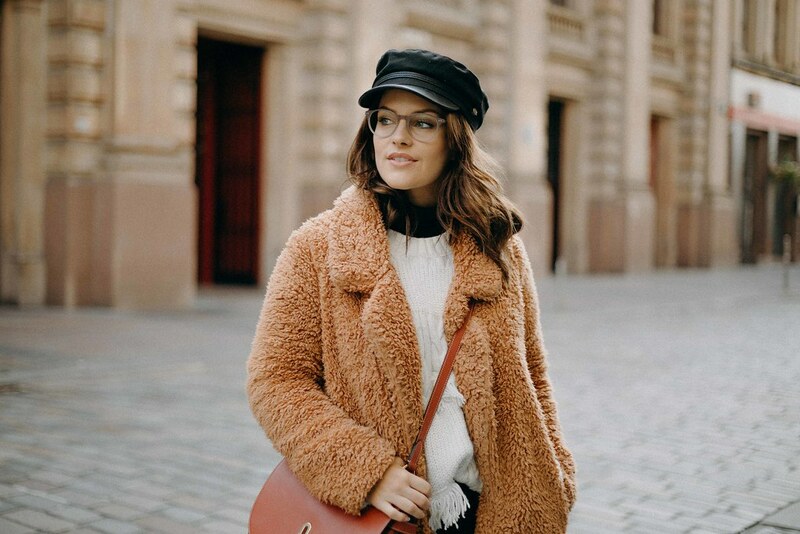 Also, for more great spec styling ideas as well as ideas on make-up for glasses, glasses for exercise and everything in between, make sure and check out #LoveGlasses! These glasses look so beautiful on you! Oh my gosh girl you look so gorgeous. I just love your style. That brown jacket is so cute, and looks really cozy! I would buy Specsavers x Amy over Kylie any day haha! 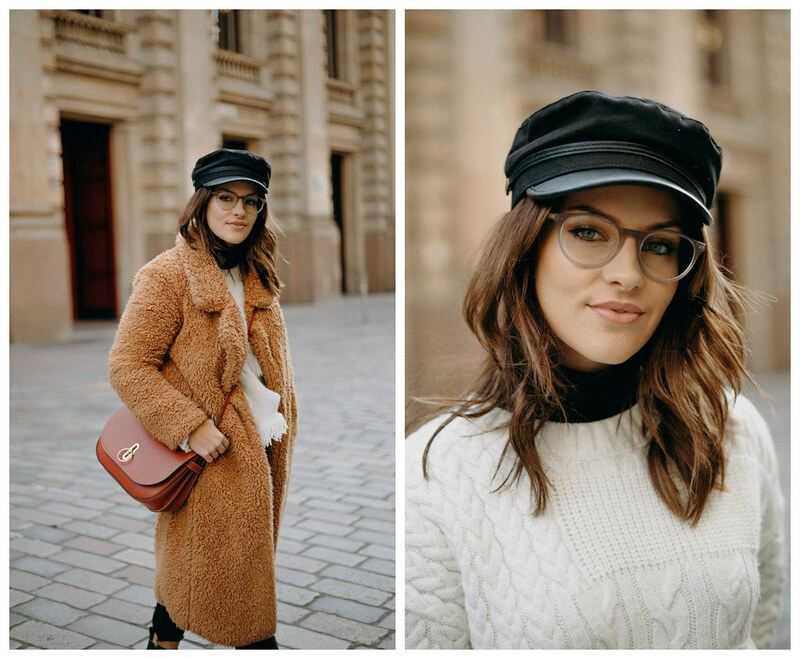 You look so gorgeous in these shots, the glasses are fab. The jumper and coat are amazing too! 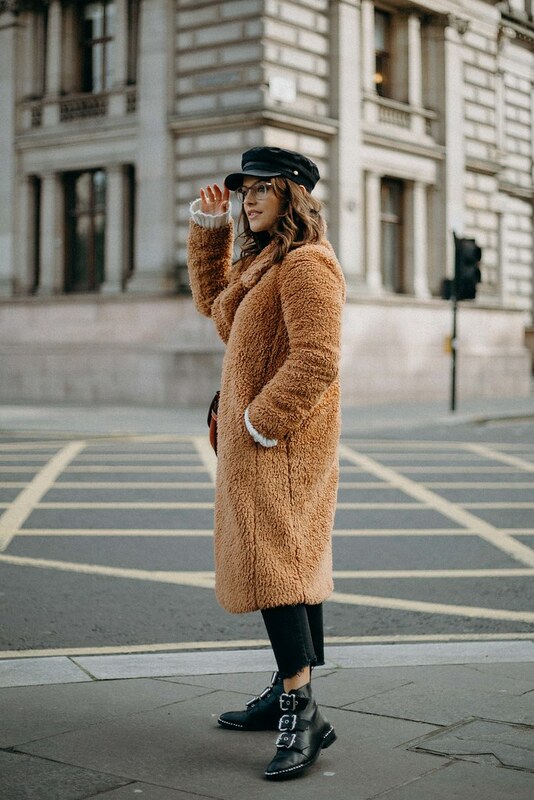 Your teddy coat looks SO COSY! I recently purchased a pair outside my usual shape and I love them, they're so fun and make me feel a bit cool when I want a low-key makeup day! Those glasses suit you so much Amy! Loveee these glasses on you lovely, they suit you so well! 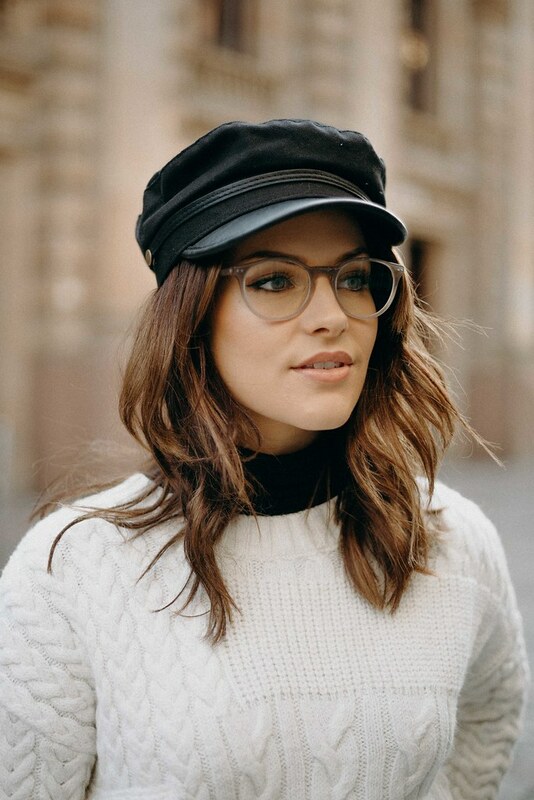 I'm a glasses wearer too and need to check out this range, had a little gander the other day on the way past and they all looked so nice! !